We went to Mysore for three days. It is the second important city of the state of Karnataka. It is an ancient principality established in 1399 and is managed by the family Odeyâr. 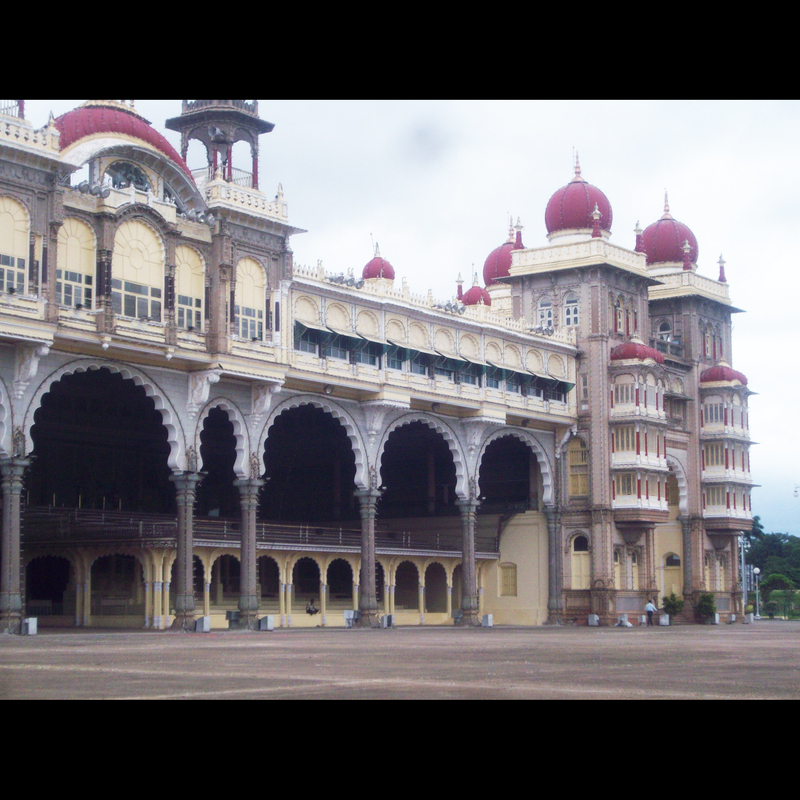 Mysore is situated to 146 km in the southwest of Bangalore. Its name comes from Mahishasura, who is a devil of the Indian mythology killed by the goddess Chamundeshwari Chamundi at the top of a hill near Mysore. This magnificent palace was built in 1912 on vestige of an ancient palace burned down in a fire fifteen years before. Inside rooms are connected to each other and we attended a parade of colors, paintings, gilts, sculptured woodworks, mosaics which made no turn our heads. Each Sunday evening the palace lit by a thousand bulbs. Built around 1930, by a French architect in the neogothic style, it is the largest church of India. In the Karnataka’s state there is a Tibetan village, Bylakuppe. These refugees arrived in India around 1960 due to the Chinese invasion in the Tibet. 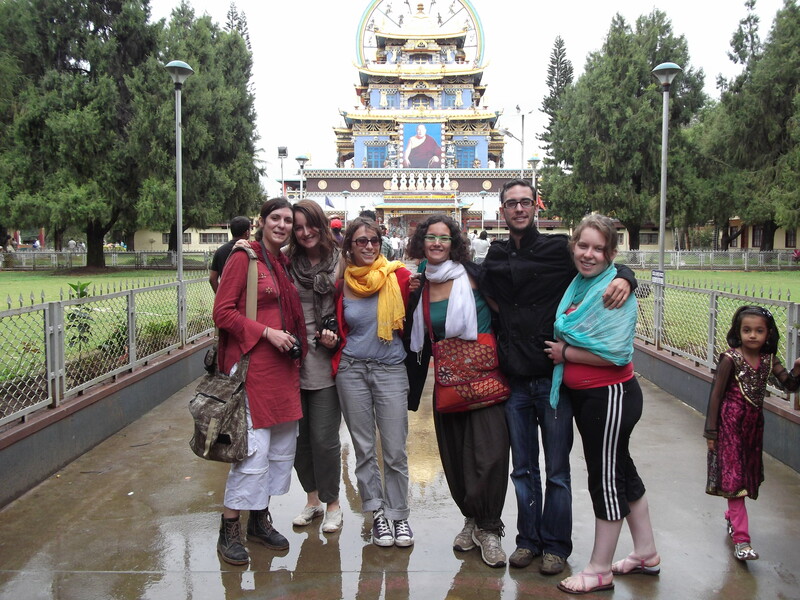 We can find the spectacular Golden Temple there which is a major tourist attraction of the region.